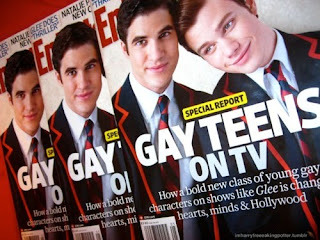 Glorious Gay Days: Hooray for Glee! Glee makes me happy. I love watching Glee each week. It's inspiring to see their gay couple as an important storyline...it's the world as it should be.